Yes, I aggree with you Rick. 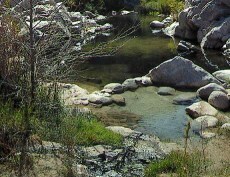 Its too dang windy and cold to camp at the Bowen Ranch this time of year without taking a hike down to the springs for a soak. This is the reality of the situation.